The sweeping rural landscapes, hidden gems and legendary landmarks of South East England can’t help but bring out the true romantic in you. Pop a picnic in the car and a map in your back pocket: it’s time to explore. It’s possible to take on this ambitious sightseeing itinerary all in one day – and here’s just how to do it. The Seven Sisters of the South Downs National Park. Photo by Edward Dalmulder. There are few things to do in England more suited to a day of romance than a stroll around the South Downs National Park. People have been treading the iconic ridgeline of the South Downs Way since time immemorial. Set out early, park up at Queen Elizabeth Country Park and bask in the fresh morning sunshine. You might even feel ​“overcome by beauty more extravagantly than one could expect” as local writer Virginia Woolf so artfully put it. If you really want to give your lungs a workout then commit to hiking all 886ft of Butser Hill, the highest point on the South Downs. The views of the open access woodland, downland and – on a clear day – the Isle of Wight are so stunning you’ll be powerless to stop yourself from singing ​‘Jerusalem’ out loud. Watts Cemetery Chapel. Photo by Andrew Bowden. After a well-deserved slice of cake and cup of Fair Trade coffee in Queen Elizabeth Country Park’s cute cafe, it’s time to get back in the car and head 27 miles north up the A3. Less than half an hour later, you’ll be in the village of Compton, Surrey. 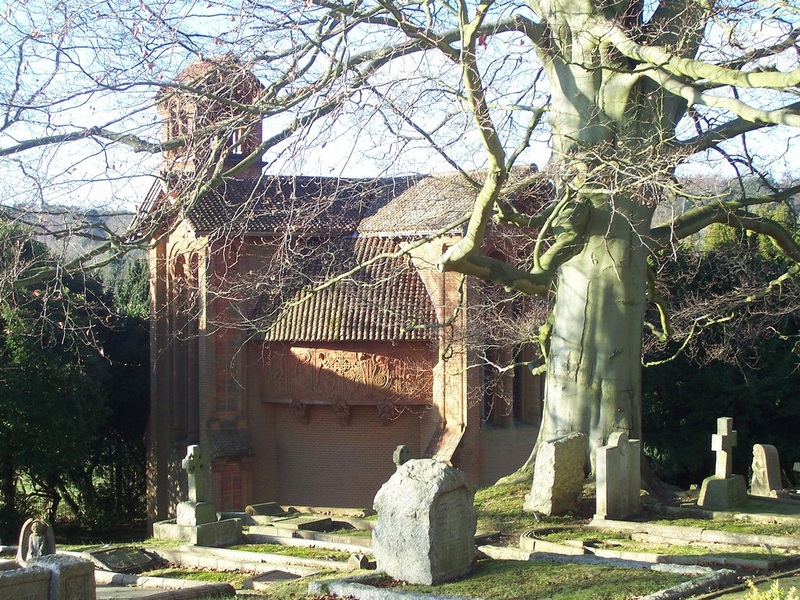 Wander along the winding yew tree paths to the cemetery and watch the extraordinary Watts Cemetery Chapel emerge from the trees. The writer Lucinda Lambton once said: ​“It is no exaggeration to say the Watts Cemetery Chapel is one of the most beautiful, extraordinary, original, marvellous and magical buildings in the whole of the British Isles!” and it’s easy to see why, covered as it is in Celtic and Art Nouveau decoration. The interior, with a ceiling adorned with immaculate seraphs, embrasures, medallions and angels, is sublime. It’s remarkable that this chapel remains one of the least well-known places to visit in England. 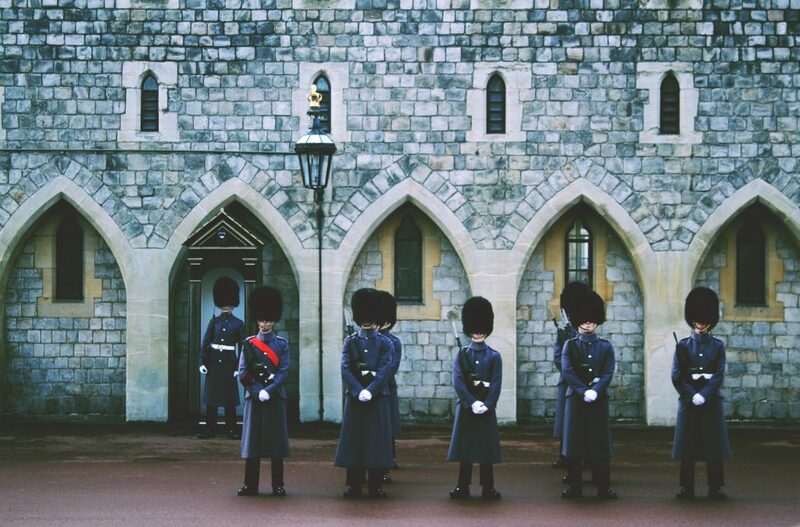 The Queen’s Guard at Windsor Castle. A 50-minute drive along just four A roads and you’ll arrive at the oldest surviving occupied castle in the world and one of the finest in England – Windsor Castle. The best thing about this enduring 11th-century fortress is that it is best appreciated from the outside. Walk straight past the entrance gate and round to the southern wall, then proceed south along the lovely expanse of open parkland called The Long Walk. Stroll along for 10 – 15 minutes, then turn around. The timeless view you’ll be treated to – that of the huge castle dominating the horizon, surrounded by teeming greenery – is simply breathtaking. Round off your day with tea for two in one of Windsor’s charming cafes. The quaint cobbled streets and age-old architecture, meandering river and centuries of history make it one of England’s most quintessential towns and the perfect place to spend a romantic evening. Who said romance was dead?